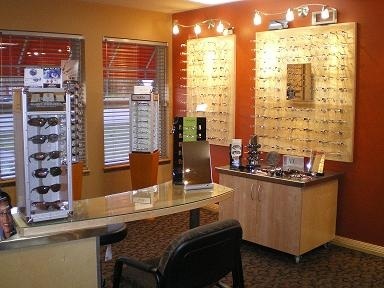 The designer frames we carry include: Banana Republic, BCBGMaxazria, Carrera, Fysh, Izod, Issy & La, Jessica McClintock, Jhane Barnes, Juicy Couture, Kate Spade, Kensie, Kliik, Lafont, Lilly Pulitzer, Liz Claiborne, Marc Jacobs, Marchon Airlock, Marchon Flexon, Nike, Ocean Pacific, OGI, Safilo, Seraphin, Ted Baker, Tura, and Vera Wang. Click the Facebook icon at the top of the screen to view our latest frames! Kari Visser-Robel, O.D. & Bailey Pearson, O.D. Wed 9:00 a.m. - 5:00 p.m.
Thu 9:00 a.m. - 5:00 p.m.